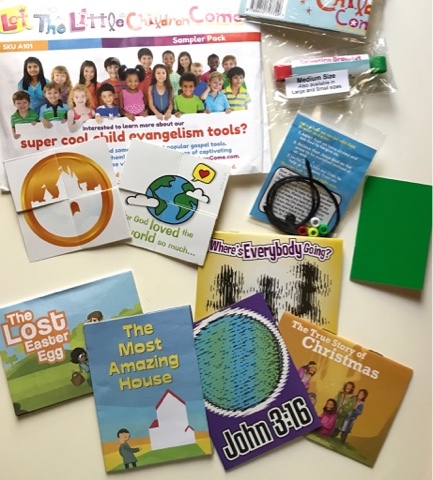 The following is a review of Gospel Tracts And Evangelism Tools Sampler Pack from Let The Little Children Come with the TOS Homeschool Review Crew. My oldest daughter shared another review of products from Let The Little Children Come earlier this year. I handed her this package the day it arrived. 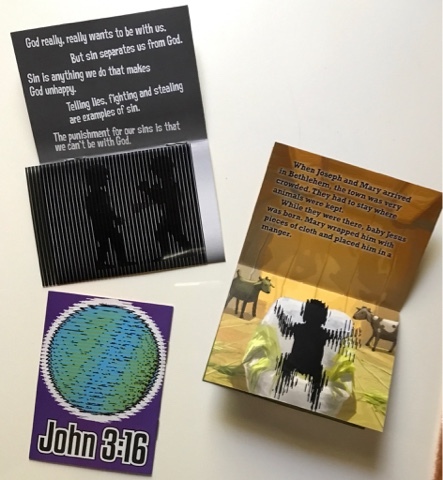 Following is her review of their Gospel Tracts And Evangelism Tools Sampler Pack. As soon as I opened this package, I was excited. We received a mixed pack with numerous samples of various tracts. Some are made to be used as you tell a story. These miniature story books are one of my favorite type of tracts that were included. My whole family had fun learning how to make the pictures move. Have you seen these before? As you moved the striped paper over the image, things move; Babies move, people walk, and the earth spins! 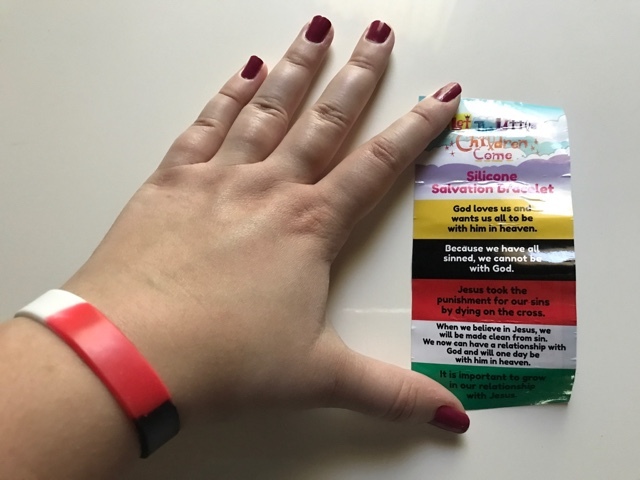 Some tracts are made as an activity, such as the salvation bracelets. 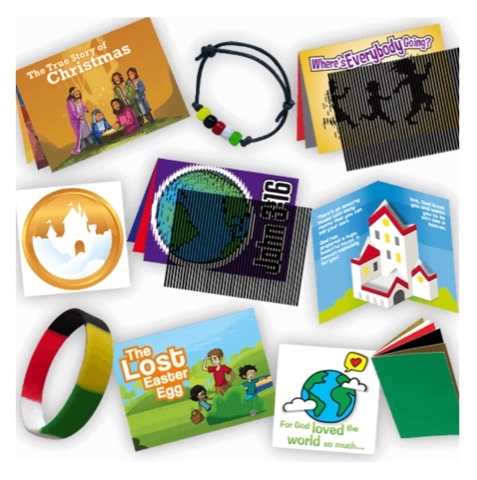 The set also included items like pop-up books and a wordless book, which can be used similarly to the salvation bracelets. I'm currently preparing for my first overseas mission trip. I know I'll get to be doing a lot with kids, so I'm especially excited about using these tracts with them. I love the idea of telling stories with the little booklets while I'm on my trip. We'll be sharing food, clothes and shoes while we are on the trip, but the most important thing we'll be sharing is Jesus' love. These tracts do a fabulous job of presenting the message of Salvation and of Christ's love for us. They are written in a way that can be easily understood by children of various ages. The pictures are colorful and fun. Another type of tract included were these folding squares. 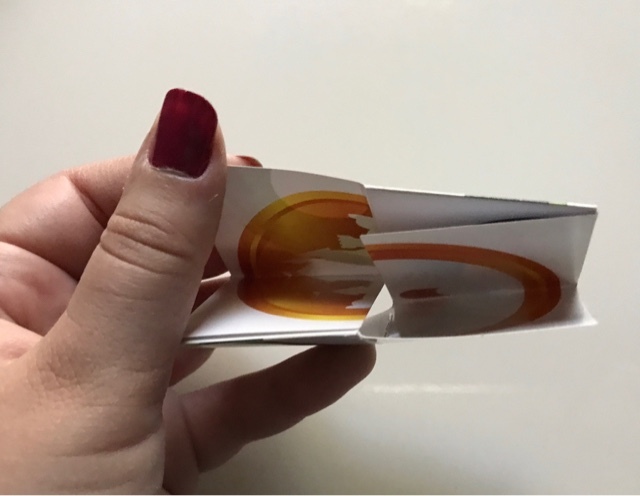 Each time you fold it, a new image is shown. These will be great for my trip because of their versatility. There are no words written on them, only illustrations and symbols. This is great, because they can be demonstrated easily to children who may not understand English. 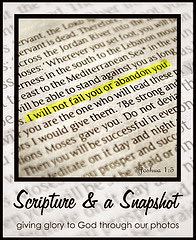 You can purchase a set like this, with a selection of several tracts, or you can buy sets of each individually. I think some of them will be great to use as a representation while telling a story to a group of children. 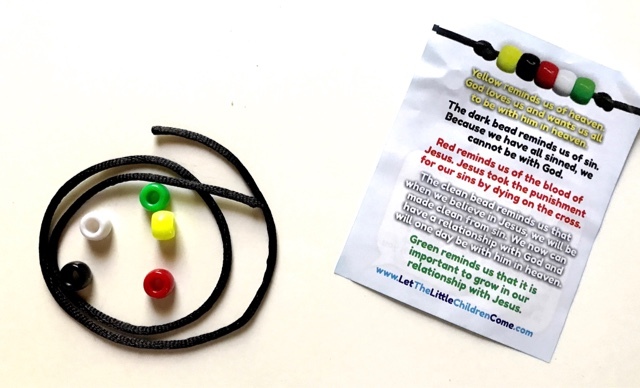 However, some are intended to be used one on one with each child, such as the Salvation Bracelets, which can purchased individually wrapped in sets. Instructions (with pictures) are provided and are very clearly written and easy to understand.